It's fun to design your own hat. This reversible custom bucket hat allows you to create two different designs. Made in a classic style with a soft, floppy brim, it allows for complete inside and outside customization. Made with firm durable lightweight canvas or oilcloth, you have a classic look bucket hat for men or women that’s ready for all seasons, and folds up to stow while you’re on the go. Design your own bucket hats for men or women in your style or brand. Whether you want to print photos or a custom pattern you have designed yourself, our printed Bucket Hat will give great results every time. This classic-style hat is perfect for trend-setting fashionistas, or as an all-weather fisherman's hat for men. Personalize 6 panels of the custom hat, and choose from 2 different brim widths: wide or narrow, for your perfect sun coverage. Hard-wearing and practical, you can just roll up and stow this personalized Bucket Hat and carry it with you wherever you go. Design your own bucket hat online in minutes. 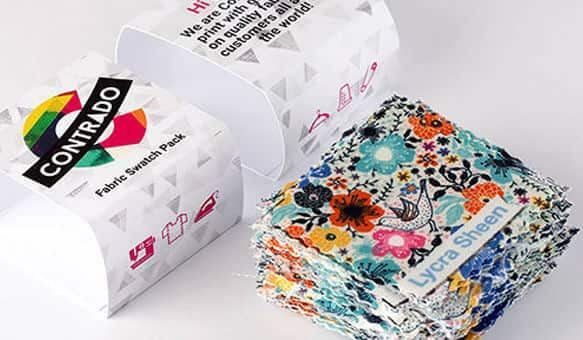 Our Canvas 300 is a hard-wearing yet comfortable fabric with great print quality: colors are bold and bright with crisp details. Canvas bucket hats are flexible and pliable, and can be easily rolled up and thrown in your bag. It is also slightly breathable, which will keep your head cool on hot summer days. Versatile and good for all weathers, this custom Bucket Hat for men or women is a dream. The hard-wearing canvas offers protection from both sun and rain, making this a great year-round accessory. This bold statement hat makes a great contrast with simple outfits: try mixing it up with longline baseball shirts and board shorts for a hip urban look. Or just a simple breton stripe t-shirt layered with our Custom Bomber Jacket. Accessorize your designer bucket hat with big, colored-lens shades and long, droopy gold chains. And don't forget: your bucket hat is fully reversible, so flip it inside out to suit your outfit, or your mood. My favorite part of this product is that it is reversible. so many options and all unique to everyone else! What designs look best on this hat? 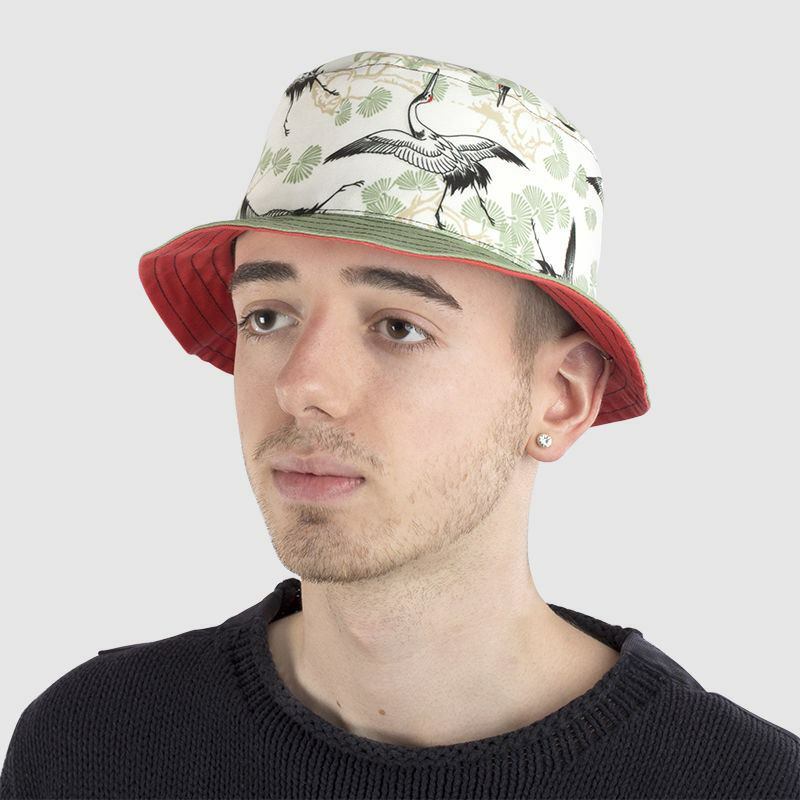 With this product, it is difficult to print very precise patterns like stripes, as these will appear distorted by the curved shapes of the Bucket Hat. 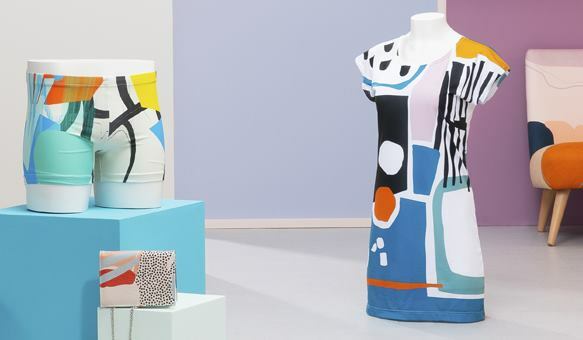 Loud, bold jungle prints, on the other hand, will look great! Go for something bright and energetic or try smooth color gradients, as these look brilliant too. Is this hat suitable for kids? Yes! Children will love this personalized hat. We have an XS size hat which makes a perfect sunhat for children around ages 5-9. Children will love being able to design their own bright, colorful Bucket Hats. Why not personalize your kid's sunhat with their name, so they never loose it at school again? Can I add a brand label to my bucket hat? 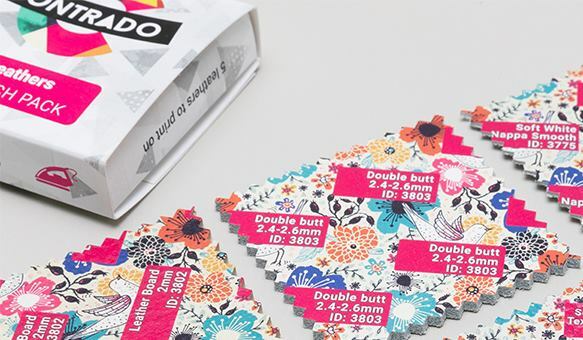 In order to make this design fully reversible, we had to remove the option to add your own label. However, there are plenty of other ways to promote your brand with this custom hat. Why not print your logo on the front of the hat to make it extra visible or on the inside for something more subtle? 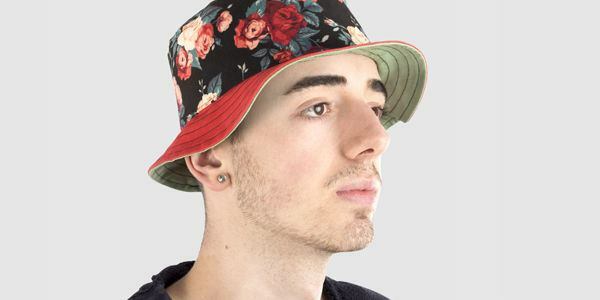 Explore unique bucket hats, designed by independent artists in our curated marketplace. To find your perfect hat size for your custom bucket hat, use a soft tape measure or a piece of string (which can be measured afterwards). 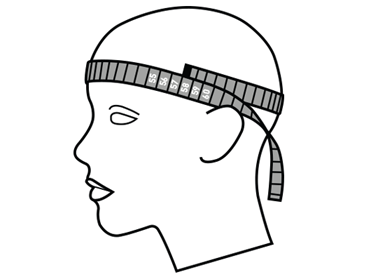 Place the measuring tape or string just above your ear, and across your forehead, wrapping round to the back of your head. Don't pull too tightly - leave the tape a little loose. If you find your size in the middle of our sizing brackets, go a size up. This Hat is designed to be a snug fit, especially in the Oil Cloth which has less give than the Canvas. If your head measurement falls in between two size brackets, we recommend choosing the larger size. Our Model Jack wears a Size Small/Medium with a Wide Brim.